Are you struggling because of your child’s drug or alcohol issues? 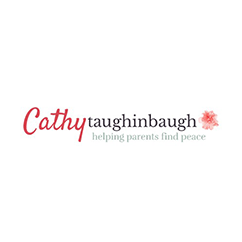 I’m Cathy Taughinbaugh. I’ve been working with parents since 2010. After discovering drug and alcohol use was an issue with my children, I discovered that connecting with others was a way to share tools and strategies that could help parents lessen the pain of their child’s substance use. I’ve always been fascinated with the power of technology, so it seemed a natural fit. I quickly realized that while articles are helpful, parents needed more. To break through their isolation, shame and stigma, they would benefit from one-on-one conversations with someone who has experience and training in this topic. As a Parent Coach, I work with parents who are concerned about their child. It may be because of their adolescent’s experimentation or because their teen or young adult is suffering from substance use disorder. I also work with parents who are divorced and want insights as they bring their life back together. Through personal coaching, articles, a support group, resources and various ebooks, my goal is to offer inspiration to others facing the same or similar challenges in their lives. My focus since the beginning has been to have a resourceful site where people can gain the support they need as well as find valuable information about addiction and recovery. I hold a Bachelor’s degree in Psychology from the University of the Pacific and hold a California Teaching Credential. I live in Contra Costa County in California and serve on our county’s Alcohol and Other Drugs Advisory Board. I work with parents across America.